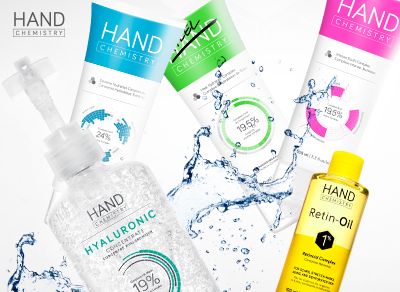 Show your skin some love with Hand Chemistry, a line of award-winning skincare for the hands and body. Designed and developed by top skincare experts, all Hand Chemistry products use the latest actives at the highest possible concentration for results you can see and feel in 14 days or less. With formulas designed to target wrinkles, dryness, dark spots and signs of ageing all over the body, the brand’s restorative formulas will unveil a more radiant, youthful looking you.